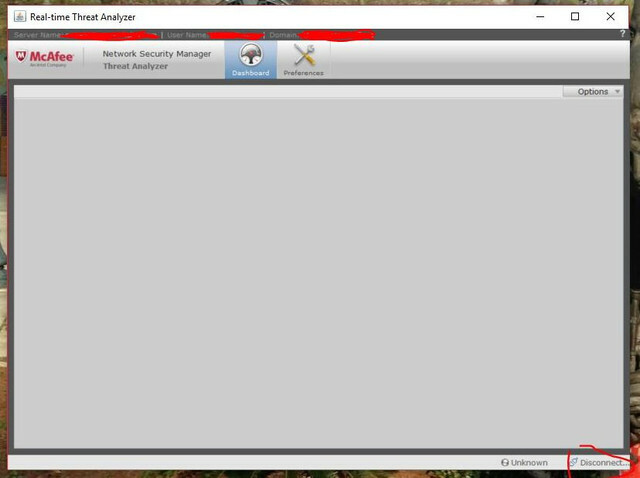 We have NSM 9.1 and after enabling Real Time Threat Analyzer to show in the 'Analysis' tab, we are not able to get it working from a laptop. The .jnlp java applet downlaods, runs, loads and the console shows.... but stays disconnected. For testing purposes, I installed java on the NSM server itself, and tried to load it there and this time it worked. Are there firewall ports that need to be opened for this java applet to function from a remote system (in this case, my laptop)? Any other considerations to hae to prevent the applet from being rejected? Now I did... port 8555 is the one. As far as I know the RTTA is a depricated tool that is no longer supported. It might still be an option in the ems.properties file to enable, but that does not mean it will function. Have you ensured all ports from previous versions listed for RTTA are open?